Too much swelling may slow down healing. Untreated inflammation may lead to even more swelling. Excess swelling can be uncomfortable and sometimes limit range of motion. Understanding how to decrease swelling is the first step in reducing inflammation and ensuring that your body has every opportunity to quickly heal itself. Using an injured body part may contribute to swelling by encouraging blood flow and irritating damaged cells. For example, trying to walk after an ankle sprain may cause additional excess fluid to build up as your body continues to protect the damaged tissues. 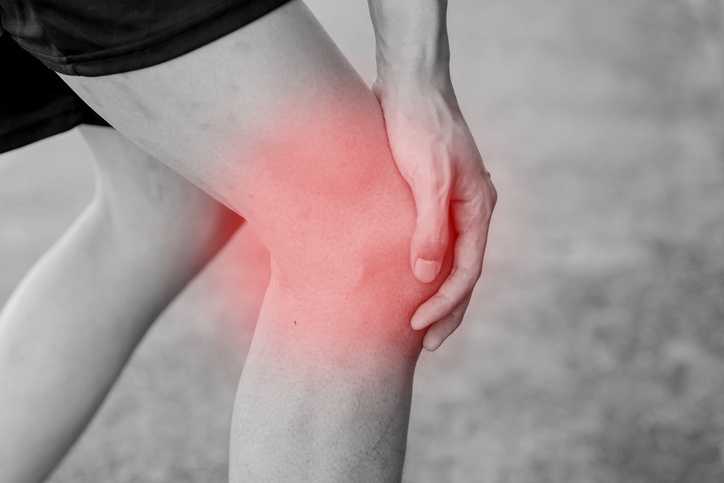 Although it may be tempting to try to continue normal activity after an injury, it’s usually a good idea to rest the area for at least a few days. Applying cold immediately after an injury helps reduce swelling by restricting blood flow to the area and slowing down cellular metabolism. You can use ice packs, cold therapy systems, ice baths, or cryotherapy chambers to deliver cold to the affected area. Apply cold several times a day for 20 to 30 minutes at a time to help keep swelling down, especially in the first several days after an injury. Applying pressure to an injury helps reduce swelling by restricting the flow of blood and other fluids. You can apply compression with static bandages, elastic bandages, or cold and compression devices. When using static or elastic bandages, adjust the pressure as necessary to make sure they provide enough compression without being too constrictive. As swelling increases and decreases, you should adjust the bandages accordingly. Elevating an injury above the level of the heart also contributes to reduced blood flow, which may mean less swelling. With leg injuries, it’s important to keep the legs elevated while seated or reclining so that excess fluid is not allowed to collect around the injury. Comfortably elevate injured areas while sleeping by using soft pillows as props. Medications like NSAIDs can help reduce inflammation in the body and alleviate pain caused by an injury. Always follow the dosage guidelines and ask your doctor about potential interactions with other medications. In some cases, NSAIDs can cause undesirable side effects, so limiting their use is generally recommended. You can get the most benefit from cold and compression by combining the two in a system that delivers consistent cold while helping your body to pump excess fluid away from the injured area. The Game Ready cold therapy system can be used after an injury to help control pain, reduce swelling, and help you recover as quickly as possible. Contact us today to learn more about using Game Ready for injury recovery. Although the inflammatory response is consistent throughout the body, there are specific actions you can take to help address it in various areas. Addressing the swelling in foot injuries may include elevating the foot above the level of the heart, applying cold therapy, and using a compression bandage or active compression system to help remove excess fluid from the area. If circulation is poor or being on your feet is necessary, it’s important to elevate, ice, and compress regularly throughout the day to keep the swelling down. Sprains and strains in ankle tissues are some of the most common injuries. Reducing swelling in ankle injuries is similar to the approach in foot injuries. In addition to elevation and cold therapy, you might also consider wearing an ankle brace to provide consistent static compression and help prevent the buildup of excess fluid. Swelling from knee injuries can impact range of motion in the joint and make it difficult to walk. You can help reduce swelling by applying cold therapy several times a day and wearing an elastic bandage or brace. If mobility is an issue, consider using a crutch, cane, or other assistive device to keep pressure off the leg while you recover from a knee injury. Treating the swelling from injuries in leg areas above the knee can be more difficult because it is not as easy to elevate them. A larger surface area also makes smaller ice packs less effective, which is why the body-conforming wraps used in cold therapy systems are beneficial. Applying compression to the groin, quadriceps, or hamstrings is also not as easy with elastic bandages, making active compression wraps a good alternative for injuries in leg tissues. Swelling is a natural response to injury, but left unchecked, it may prolong your recovery time. Be proactive with tactics such as elevation, cold therapy, and compression to help your body heal faster.